Since Twitter bought up Tweetdeck back in May 2011 for £25 million, you’d think that they would take a great app, and make it better, right? 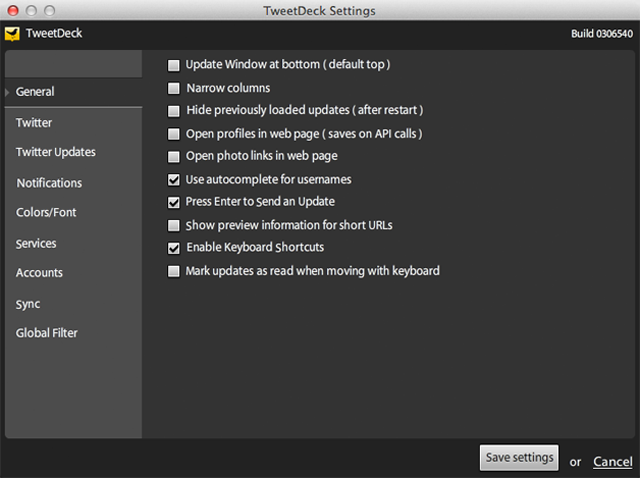 In December 2011, Twitter released a long anticipated “version 1” of Tweetdeck – much to the disappointment of many. Some issues are probably bugs, but some are features that have been simply removed, against all logic and reason. The new desktop Tweetdeck is a dumbed-down Fisher Price shell of an app, and I’ve gone back to using the beta version. In the old Tweetdeck, if you clicked an image link ir video link from a tweet, it would open the image in the app itself. The new version makes all images and videos open in a browser window. When writing a tweet and you hit the @ key, a dialog box pops up to autofill the twitter handle you were going to write. Great, except the new Tweetdeck seems to only know a select few of the people you follow, rendering it pointless 50% of the time. 3. Facebook connection means you have to see when your friends are playing Farmville. If you have Facebook connected, (which is handy for cross-posting), you now get every single bloody update from your friend’s feed stuck in with the rest of your tweets. So if one of your Facebook pals is spending their afternoon liking YouTube videos, you’ll get a feed full of cat related links – with no way to (easily) remove them. Scrolling down the feed in the new Tweetdeck is a pain – it only loads about 15 by default, and stops to load the next 15 when you hit the bottom. It used to be that you could call 100’s by default, so you could scroll down without having to wait. The new Tweetdeck stutters. Sometimes it’s handy to know how someone you follow posted their tweet. For example, the tweet above (from the old Tweetdeck), shows that Jon posted the tweet from the Uberlife website. Likewise, it will show if someone posted using Twitter on the iPhone, the main Twitter website, or even another Tweetdeck client. Not anymore! The new Tweetdeck won’t tell you how someone posted their tweet, presumably to prevent an outbreak of zombies, or something equally as ridiculous. Also in the above image, you’ll notice that in the old Tweetdeck, you could see how many followers a user had – a handy indicator when you’re monitoring how well your content is doing virally. Its nice to know when someone with a couple of hundred thousand followers sends out a tweet about something you’ve created. By default, the old Tweetdeck let you automatically add RT @ if you wanted to retweet someone. Now the only options are to slap the whole tweet into quotation marks, or add the RT @ manually. Not a huuuge deal, but still a pain in the arse, and a middle finger to UX. Tweetdeck was good because you could filter columns/feeds for keywords, meaning that if you wanted to see which of the people you follow were talking about ‘design’ for example, you’d just pop it into the bottom of the column and it would show you everyone mentioning ‘design’ in their tweets. 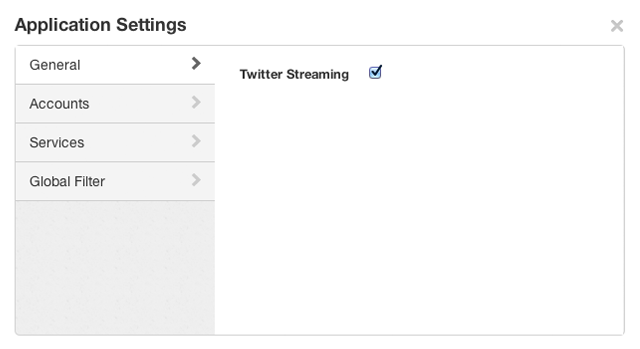 This option was removed from the new Tweetdeck too. I couldn’t agree more. Tweetdeck use to be f*cken great – the best twitter app on the market at the time IMO. Now I’ve stopped using it because it became so frustrating to use. My main gripe was the lack of inline media. Clicking off to twitter.com just to see an image was, simply put, retarded. But hey, i’m now using Echofon which is great. No right click to paste in URL’s (or anything else). Incomprehensible. Here’s a userscript to add follower counts under avatars back. DestroyTwitter is much like TweetDeck, BUT is only single-account right now. One more thing missing is you were able to mark as read all tweets in one column and then from your timeline / all friends column you could remove already read posts and then read what was remaining. A very hand feature but removed from new version, sigh!!!! Thanks for the informative article about the tweetdeck. You are good analyze these things and it is good to be summarized in a blog post. essay heaven services are the best for the people to get an opportunity of having the best writer.